The Bible to be the inspired, the only infallible authoritative Word of God. That there is one God, eternally existent in three persons: Father, Son, and Holy Spirit. In the deity of our Lord Jesus Christ, in His virgin birth, in His sinless life, in His miracles, in His vicarious and atoning death on the cross, in His bodily resurrection, in His ascension to the right hand of the Father, and in His personal return in power and glory. In the salvation of lost and sinful man and that regeneration by the Holy Spirit is absolutely essential. In the resurrection of both the believer and unbeliever; those that believe in Christ as Savior to the resurrection of life, and those that do not believe to the resurrection of eternal punishment. 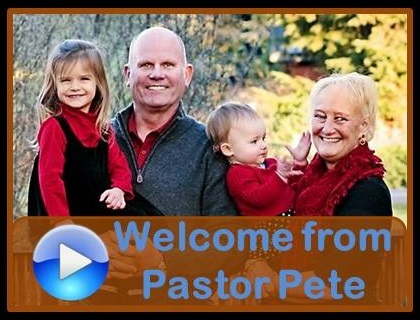 We invite you to visit Community Bible Church and get to know us in person. We are located just off I-5 in Central Point in the center of the Rogue Valley of Southern Oregon. The most important thing we can do as a church is to clearly and accurately communicate the Word of God as presented in the Bible. This should challenge us and encourage us as well as shape and mold us into the people the Lord wants us to be. The Bible teaches we are called to be part of a church family. In this family setting, we can learn from each other as well as encourage and comfort each other. Therefore, connecting with other Believers is vital to the health and maturity of each individual as well as to the entire church body. We offer a variety of opportunities for growing and learning through the Word as well as for fellowship. We invite you to become part of our Family. God desires us to participate with Him in joyfully giving of our time and financial resources. He has entrusted us to be stewards of these resources. They are a gift from God to be treasured and used for his purposes. Thank you for choosing to follow God's leading in the area of giving. © 2013 - 2019 Central Point Community Bible Church - All Rights Reserved.